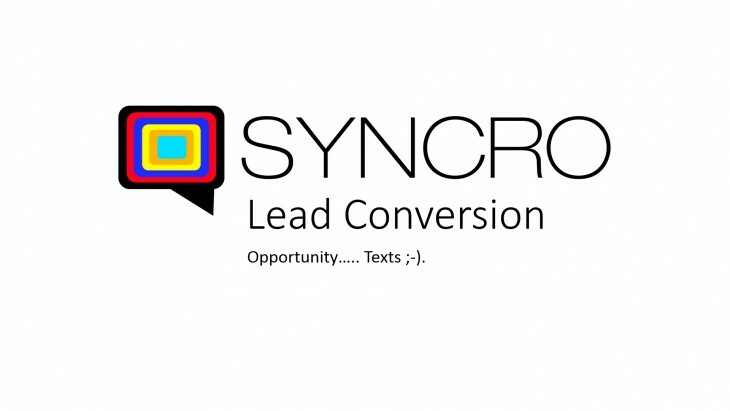 This is a Step-by-Step Guide on how to setup and install a Powerlink on your website with SYNCRO. Login to your SYNCRO admin account http://stable.syncrowebchat.com/user/login with the login credentials you were provided. Here is where you setup the Powerlink. You can have two types of Powerlinks, a Text Powerlink or a Graphic Powerlink. 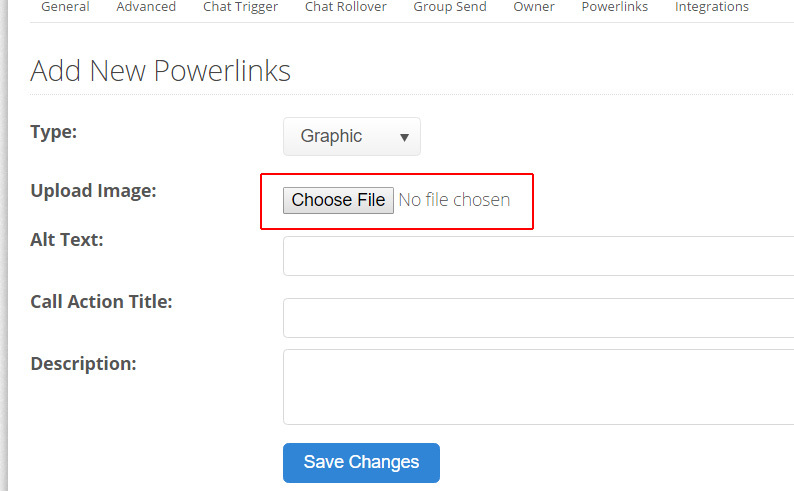 -A Text Powerlink is simply a link wrapped around a line of text. When filling out your settings you just to need to ensure the “Call Action Title” title is set to what you would like the link text to be. For example see the video below, the “Call Action Title” is set to say “Click here,” and once that is clicked the SYNCRO window will appear. 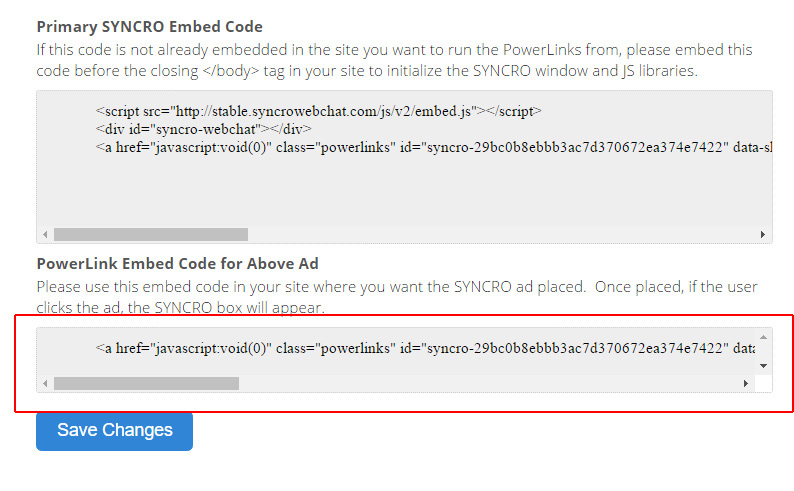 -All you need to do now is copy the code in the “PowerLink Embed Code for Above Ad” section and place it into your website code or content editor. -For example see the video below, when the image in the middle is clicked, the SYNCRO window opens up. This is because that is the image I have uploaded in my Powerlinks settings. Copy and Paste this code into your website and ensure it is pasted immediately before the closing </body> tag in your website code.